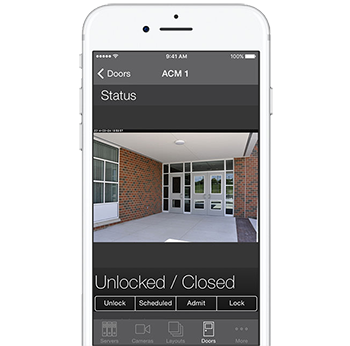 VI Mobile includes user convenience settings including import automation for server setup, option for unique federated login credentials, and detailed system log to monitor server and user activity. Active Directory login support included. 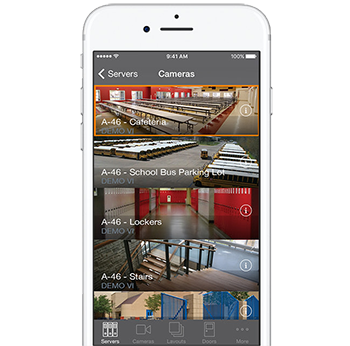 Camera tiles provide you with complete situational awareness over your site. Easily scroll through your entire layout or transition over to recorded Video with just one tap. 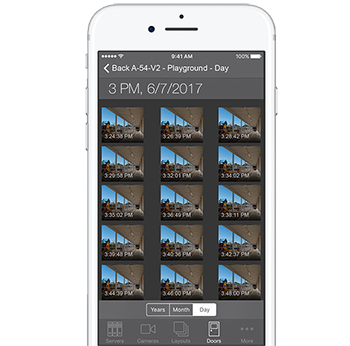 Quickly review recorded video from any camera on your system, based on the date and time. Rewind and fast-forward through the day's events in a flash to locate an event of interest. 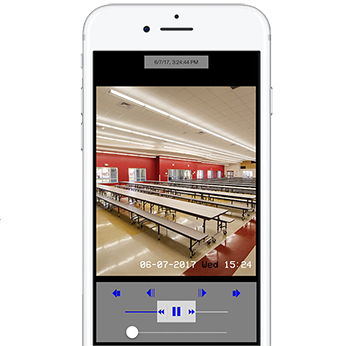 Save time reviewing recorded video by viewing any camera's motion events logs. Locate an event of interest through time stamped thumbnails. 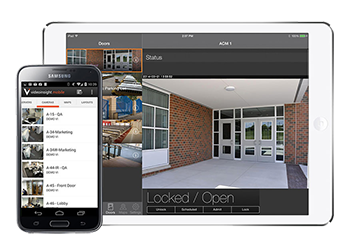 Control who has access to your site even if you are not there with mobile access control integration.